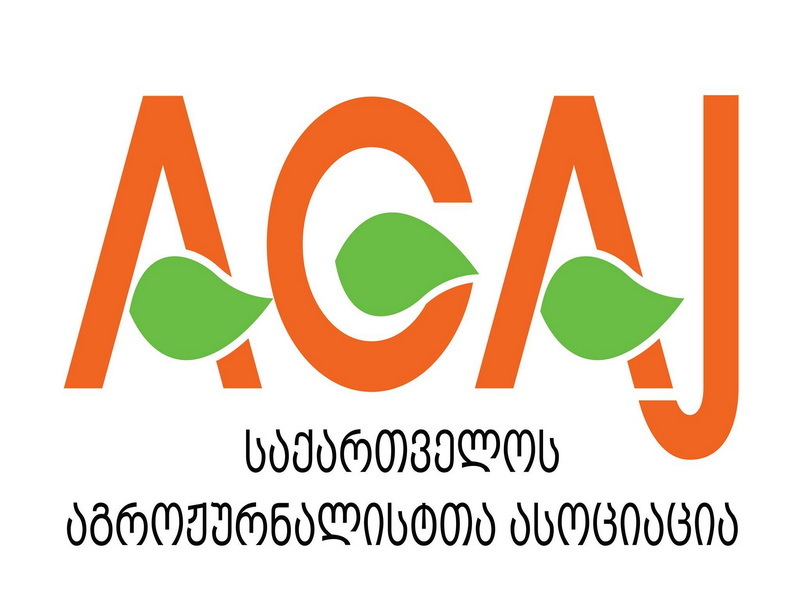 Association of Georgian Agro Journalists Association of Georgian Agro Journalists (AGAJ) is a professional union, the members of which produce and distribute information related to agricultural field. The goal of association is development of agro journalism with the help of media sustainability and professional growth of journalists, which in the end is related to better informing and education of the farmers and players of agricultural sector.AGAJ is established in 2017 and BRIDGE is one of its founders. The partner of the Association is International Federation of Agro Journalists (IFAJ); financially, it is supported by the project - MOLI in Kakheti, implemented by South Caucasian office of HEKS/EPER, funded by the Government of Switzerland. T he Black Sea Eco-Academy is non-governmental and non-profit organization, founded by the Black Sea NGO Council in Batumi, in 1994. During 21 year of active work in the region the organization has implemented more than 30 projects related to environmental protection and natural resources management, socio-economic and rural development, biodiversity conservation and protected areas management. The main aim of the NGO is to increase environmental awareness, popularize environmental sciences, support development of youth environmental groups, and lead and facilitate public participation process. As a core member of Black Sea International NGO Network and National office BSEA play liaison role between various international, national and local environmental and civic groups, media organizations in Black Sea region and particularly in Georgia.BSEA aims to involve all sectors of society in public participation and decision making processes, improve relations between general public and governmental authorities and develop good governance models, to promote and support Sustainable Development concept. Rural Communities Development Agency (RCDA) is Non-Governmental organization established in 1997 by a group of small farmers, farmers’ credit unions and farmers’ co-operatives, CBOs and NGOs, which are the main stakeholders in its activities. The members of the organization are 1200 physical persons and 74 legal entities.RCDA envisions a rural community development in which organized groups of local residents, both women and men, are responsible stewards of their resources. As groups and as individuals, they posses rights of ownership and responsibilities, and utilize ecologically sound methods in producing, processing and marketing their products to maximize returns to the community. RCDA aims to protect and promote international human rights standards and values, build and strengthen civil society groups in rural areas, and support rural poor, refugees, migrants, IDPs, youth, media, local governments, the private sector and other NGO/CBOs through advocacy, participation and educational activities.